ComfortFit Nasal Masks by evo are designed for CPAP patient comfort. These Deluxe CPAP Masks cover the nose of the CPAP Therapy Patient. 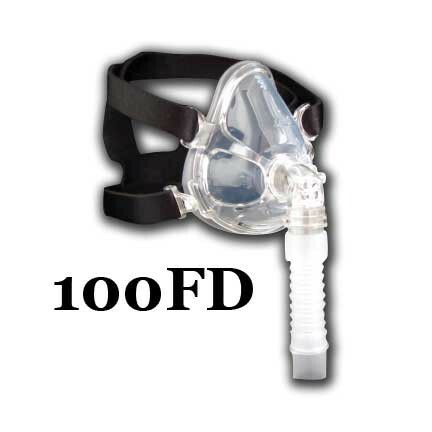 The ComfortFit Nasal CPAP Mask is available in two different styles for patient comfort. Each ComfortFit Nasal Mask comes with headgear to secure and maintain a good seal. Mask covers the CPAP patient's nose. 2 different styles to choose from to meet individual needs. Is this just the mask or is the headgear included? If not included, do you sell those also? Our ResMed Mirage Quattro™ Full Face Mask is available with the headgear equipment. You'll find that item on our site at the following page: vitalitymedical.com/mirage-quattro-full-cpap-face-mask-by-resmed.html.